South Central Louisiana Human Services Authority, the Center for Behavioral Health and Developmental Disability Services in South Louisiana, employs a wide variety of behavioral health, developmental disability, and primary care professionals to provide vital services to individuals and families in our catchment area. We are always looking for those professionals who enjoy working in an environment focused on excellent customer service. SCLHSA is committed to equal opportunities for employment and is an equal opportunity employer. Help us make a difference in our communities by helping people and saving lives and join our team today! Interested applicants can search for SCLHSA’s current job vacancies online on jobs.la.gov. For more information about the state application process, please contact SCLHSA’s Human Resource Director, Melicia Levron, at 985-857-3743. 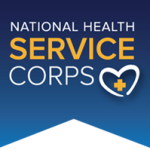 Hired applicants may be eligible for NHSC Loan Repayment Program Benefits as all SCLHSA sites are NHSC-approved.